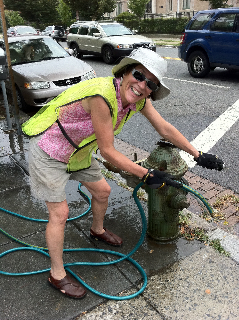 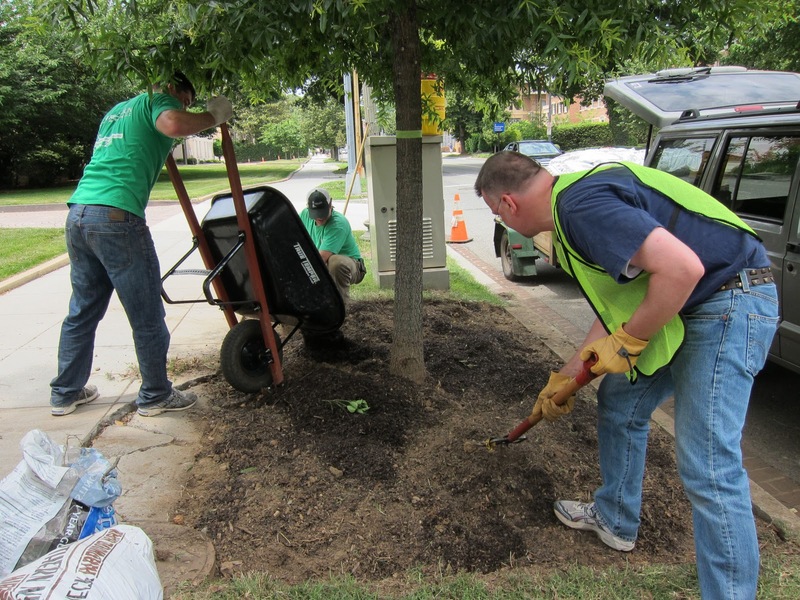 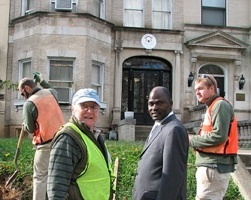 EMBASSY ROW’S TREES were among the lucky ones spared when Hurricane Isabel swept across Washington August 27. One very large street tree behind the Embassy of Cameroon (2349 Mass) toppled; but its upended roots show it was a goner already and the city will replace it. 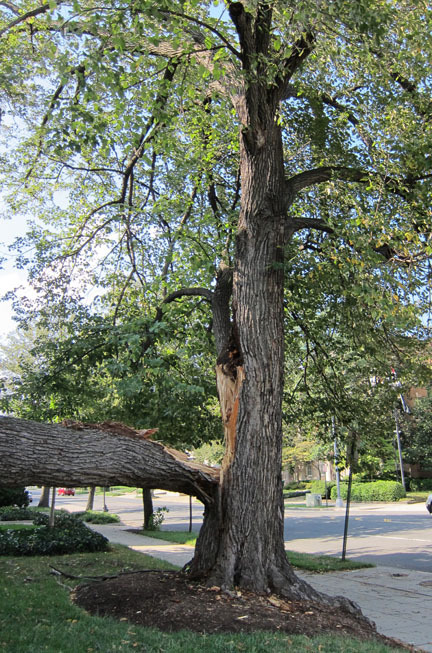 A huge American linden on the northwest corner of Sheridan Circle lost a massive branch. 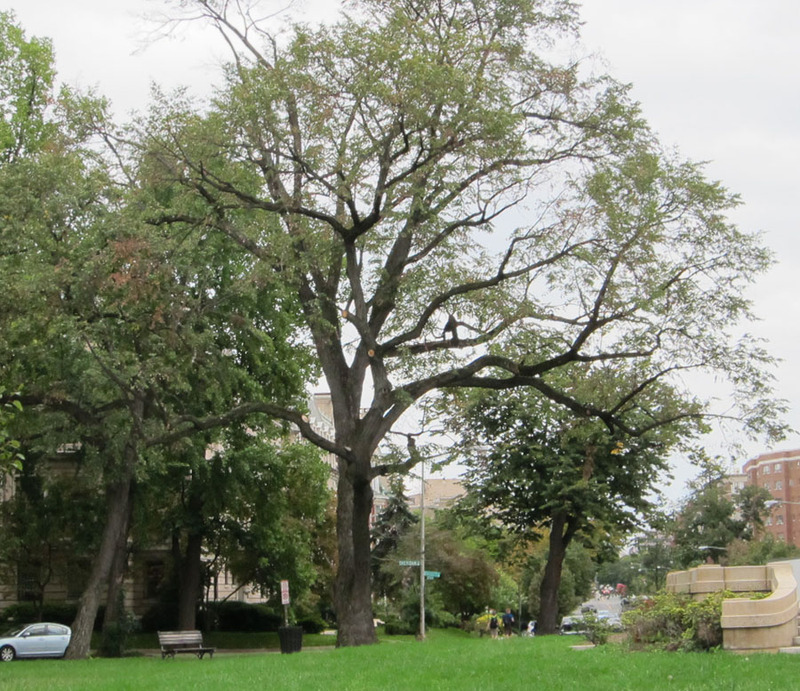 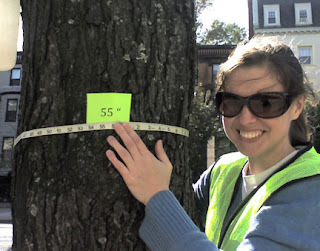 We know and admire this tree, which was installed in the city’s planting of 500 Tilia Americana along Mass Ave in 1904. 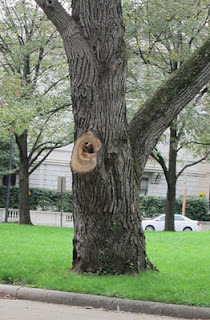 This tree has thrived for more than a century. 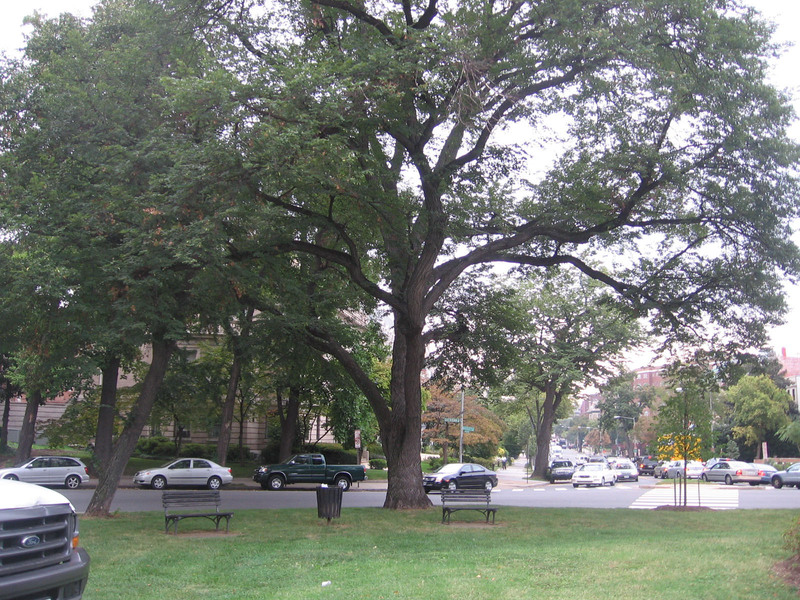 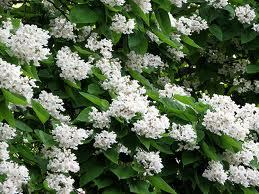 Anyone looking up into its high, graceful branches can see how well “second row” trees grow in open lawns. 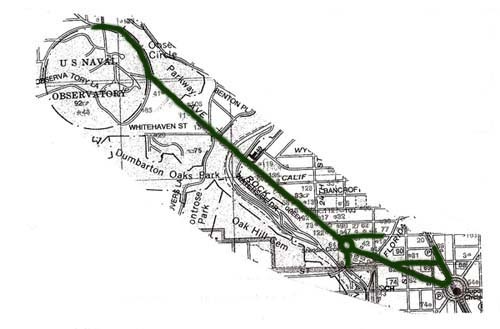 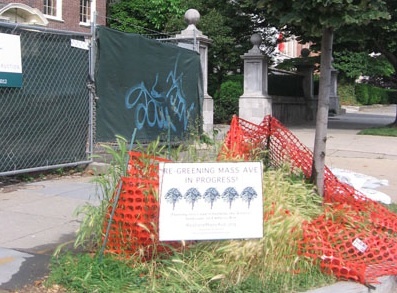 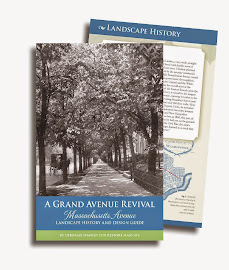 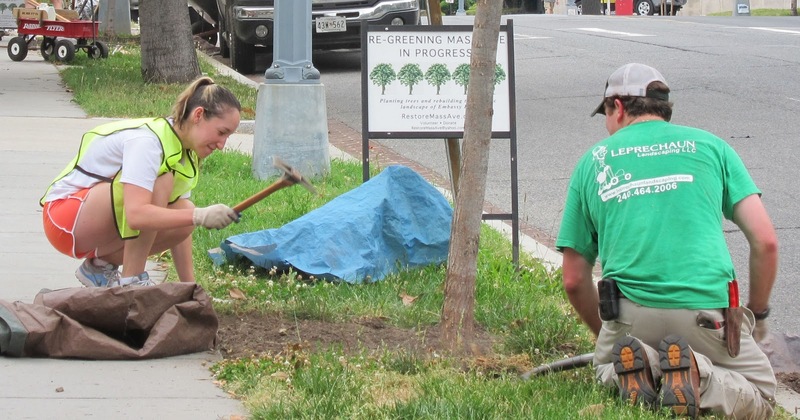 They root well in the land along the edge of Mass Ave known as “the parking” – public land which city horticulturalists planted as “park” with rows of shade trees more than a century ago. The Embassy of Korea maintains the section of “the parking” as velvety lawn shaded by the massive linden. 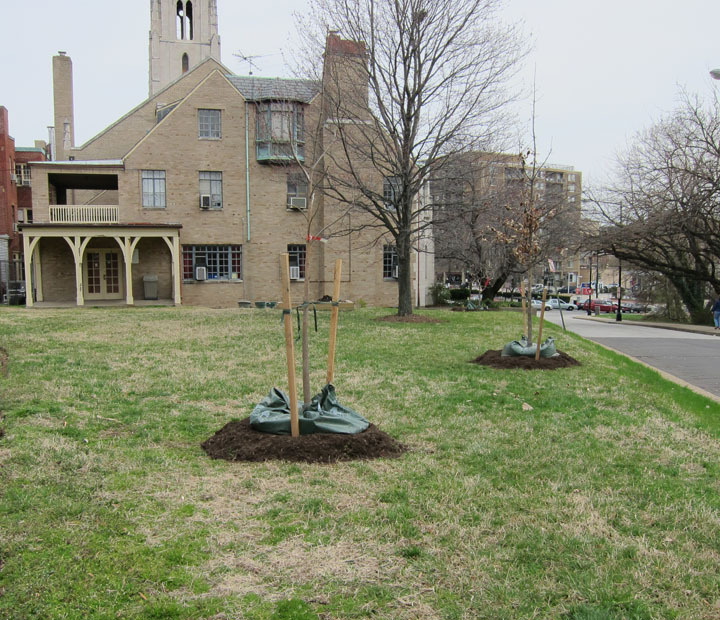 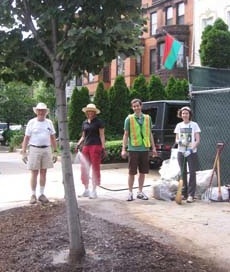 To rebuild the “second row” of trees here, Restore Mass Ave arranged the planting of another large-type linden (Tilia tomentosa) in 2007. 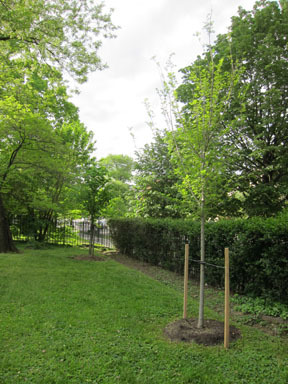 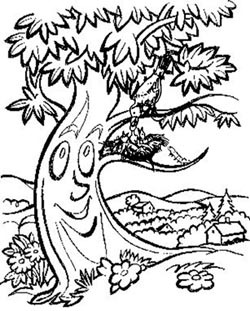 Also thanks to our non-profit partner Casey Trees, in 2009 we planted two new ginkgo biloba trees, filing in the “second row” ring around the circle. 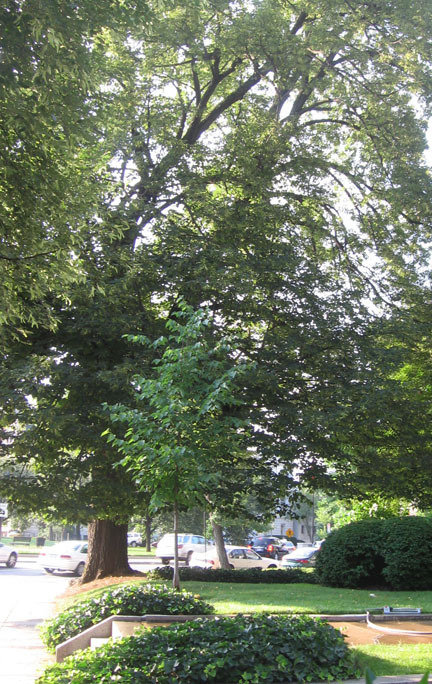 Below: The same 1904 linden with the branch belled by the hurricane The Embassy of Korea allowed this fine example of historic landscape to survive. Thanks the Embassy and Dodson Tree Co., only the fallen part of this big old linden was removed. 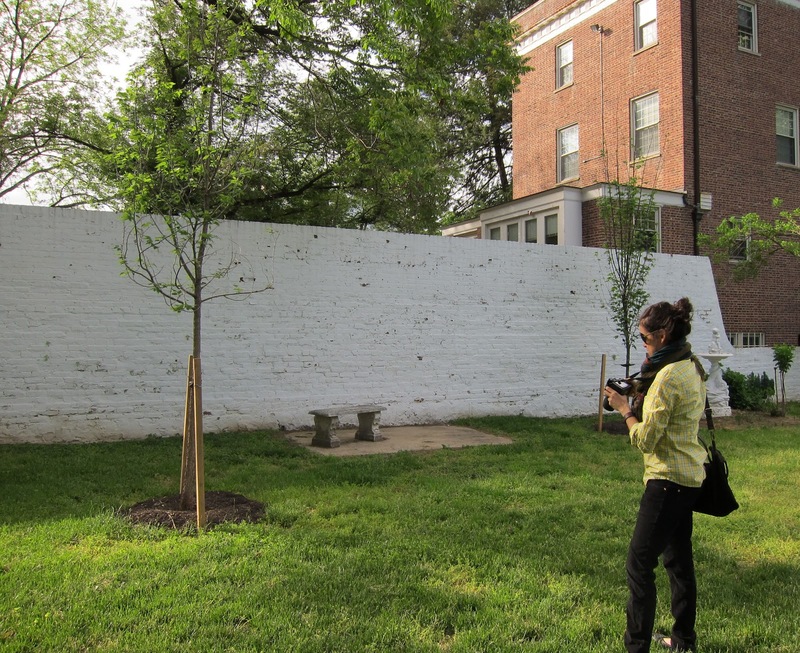 And at least one expert who toured the trees after the storm told RMA that the tree’s remaining structure is sound enough for it to survive.